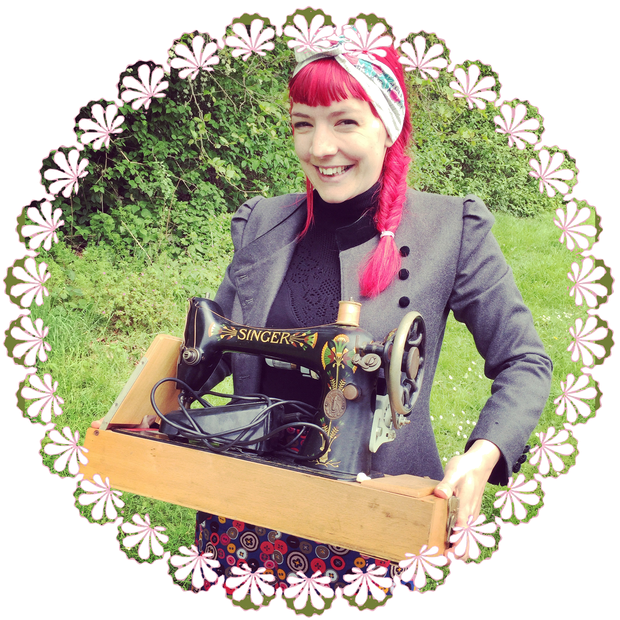 Girl Charlee Fabrics UK & Europe: Knitriffic Blogs: Gabberdashey/Gabby Young, & New Fabrics! 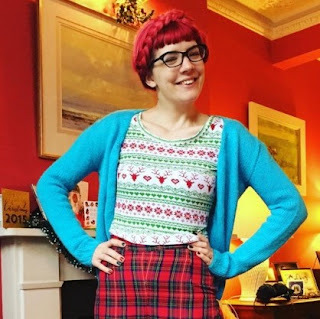 Knitriffic Blogs: Gabberdashey/Gabby Young, & New Fabrics! This month we are proud to feature the blog Gabberdashery (formerly 'Living on a Shoestring') and the multi talented Gabby Young. 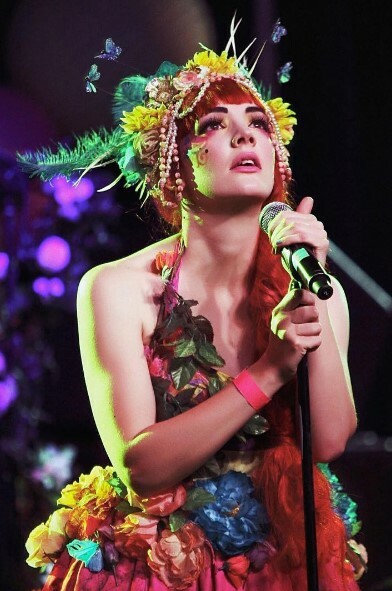 I'm a singer/songwriter with a 'circus swing' band - Gabby Young & Other Animals. I live with my new husband Stephen (we got married last month!) and our little dog in north London. 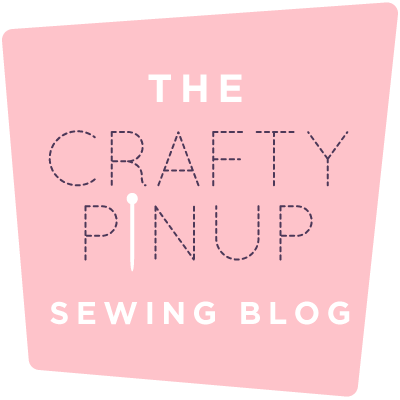 What inspired you to start your sewing/your blog/your singing? Singing wise it's all I've ever wanted to do! My blog came next as it started as a DIY blog about doing up our flat & garden with very little money and upcycling. Then I discovered sewing just over a year ago and got completely hooked! I love the fact that I can now make and wear my own clothes, design and sew up dresses for all 7 of my bridesmaids or whizz up a cushion cover for my mum - it's very empowering! Where did the blog name come from? Well it's just changed from the more DIY 'Living On A Shoestring' to 'Gabberdashery' as it seems much more appropriate for a sewing blog! It's actually a brand name I have had for years as it has been the name of the pop up and online shop I curated of handmade accessories, clothing and homeware that started as stalls at my band's gigs. 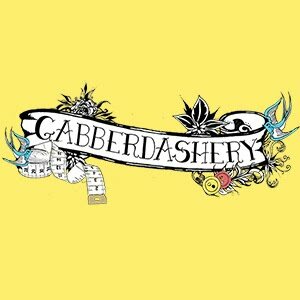 A friend inspired it as he commented I was a 'real Gabberdasher' and then a lightbulb went off in my head and Gabberdashery was born! 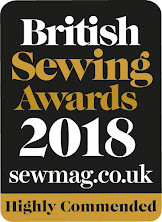 How long have you been sewing and what are your plans for the future? I started sewing properly in October 2014 and it really took over my life in the most wonderful way. I had some time off from music in 2015 it meant I could really make A LOT and sew to my hearts content. I have never found something other than singing that makes me so happy and is so rewarding. I really want to make it my life and do have plans to turn it into a career. 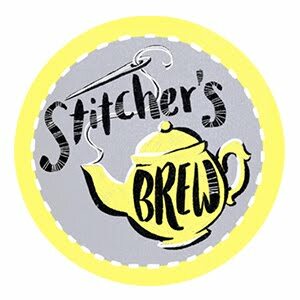 I have already started sketching ideas/dreams to write a sewing book and have just started a new video blog that I'm hoping will allow me to connect with fellow sewists all over the world! What is your favourite thing about what you do? I am so lucky that I do lots of things! 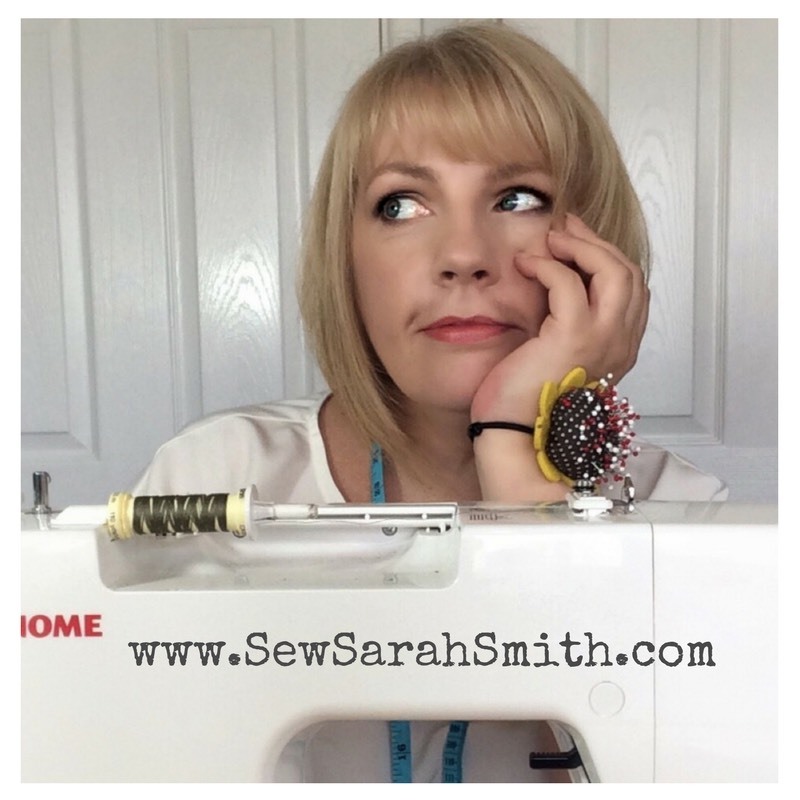 I like to keep myself very busy and always have many projects going on at once- some musical, some sewing, filming tutorials, a bit of website design, knitting and recording it all on instagram and blogs! At the moment though a day off to just sew to my hearts content is perfect to me. What else do you like to do? I also love to knit and after years of straight line knitting patterns (scarfs, headbands etc!) sewing made me realise that I love wearing things I've made and now I'm on my 3rd sweater and have really gotten into taking on much bigger, more complex projects which have a much bigger payoff. I love wearing these alongside my handsewn garments! What inspires you & what would you describe as your design aesthetic? So many things inspire me- I am lucky to live right next to the gorgeous Hampstead Heath that I am on most days walking my dog and it's beauty and wildlife always inspire ideas and schemes. My aesthetic is to keep things bright, colourful and cheerful with a theatrical twist. I like to make people smile - it's my main goal for doing anything. Thanks to Gabby for her time and her amazing blog, if you haven't done so already, be sure to visit Gabberdashery now and also check out her Vlogs HERE! 1. Bright and fresh triangle rows in orange and teal blue on a white cotton jersey, this fabric would look great as a Summer Rosaline Dress by KZJO Studio. 2. A classic heather grey cotton jersey with teal green stripe, soft and drapey, perfect for a pair of Going Rogue Over Knee Socks by The Wolf & The Tree. 3. A gorgeous deep blue vertical paisley stripe on soft stretchy cotton spandex. This would look stunning as a KZJO Studio Evangeline Dress. 4. Turquoise blue, red, fuchsia, and green ethnic rows on a white cotton spandex, these would make some cute Titchy Threads Fancy Pants Leggings. Sign up to our email newsletter to keep up to date with all our new fabrics, competitions/ giveaways and all the Knitty News! The sign up box is top left of the blog.